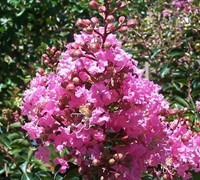 'Sioux' is a Fauriei Hybrid crape myrtle that produces an abundance of large, bright pink flower clusters for up to 120 days during summer. 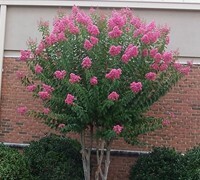 It's foliage is the darkest green of any crape myrtle and turns to a handsome purple color in fall. 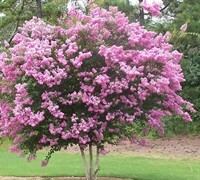 The bark is tan in color and the twigs have a reddish color. 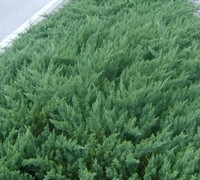 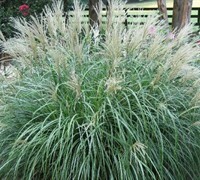 Growing 12-15 feet in height, Sioux is a great selection for small groupings or as a single specimen, as a colorful screen or hedge, on the corners to frame in homes and other structures, or planted on both sides of an entryway.